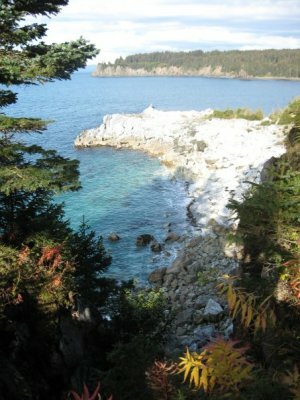 Tent and RV camping sites are available at the Outside Beach and the Seldovia RV Park. Public restrooms, and garbage receptacles are available at both sites. Potable water is available at the RV Park. ​Per Seldovia Municipal Code (SMC) 11.13.010- No person shall camp on City-owned or controlled property in excess of fourteen calendar days, regardless of any changes in campsite or campgrounds. Persons who have utilized their fourteen day camping period may not return to camp in any City-owned or -controlled camping area for fourteen additional days, following the last day of their fourteen-day camping period. The fourteen days of authorized camping need not be consecutive. 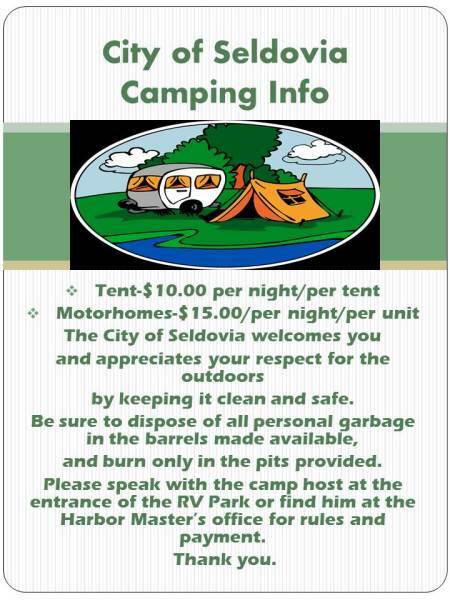 For more camping regulations please visit the Seldovia Municipal Code Chapter 11.13. Payment can be made at the City Office located at 245 Dock Street by the City Dock and behind the Seldovia Fuel and Lube, or at the Harbor Master's Office directly on your right as you come up the harbor ramp. 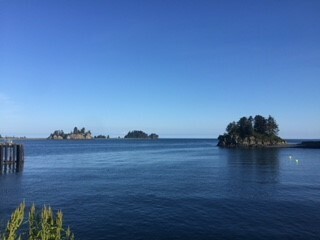 For more information please contact the City Office at 907-234-7643 or the Harbor Master at 907-234-7886. For the zoning map click here.